Home» Ethical Hacking | Kali Linux » How to Hack Computer using KaliLinux? How to Hack Computer using KaliLinux? Hello , Friends you are wellcome here . My today's is " How to Hack Computer Using kali Linux ?" Friends, First of all I want to tells about that Kali Linux . 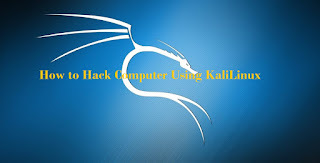 Kali Linux is one of the best passion operating system of white hat hackers, security researchers and pentester. 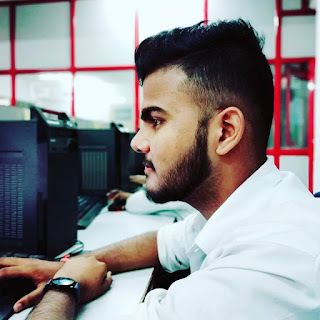 It gives advanced penetration testing tool and its ease of use implies that it should be a part of every security professional’s toolbox. Kali Linux is a Debian-derived Linux distribution designed for digital forensics and penetration testing. Kali Linux is distributed in 32-bit and 64-bit images for use on hosts based on the x86 instruction set and as an image for the ARM architecture for use on the BeagleBoard computer and on Samsung's ARM. Dear friends first of all , you create the payload(Virus) using msfvenom. Following command you will create the virus in .exe format. A virus will created in the Desktop folder. Short stories the victim download the malicious EXE file and install it. After Victim open the application. Wait for a few minute. Metasploit framework started. Step2: Now after doing this next step. we need do Set payload and Port. Write the following command and after writing each command hit enter. Write the Attacker IP address in The LHOST Part , Payload Handler is Started. Meterpreter session allows you to execute system commands, networking commands, spy the screen and much more. You see the whole list of commands type help . If you like this post please don't forget to share it with friends also please socialize it . thank you so much .